Today’s observer might wonder why the seemingly quiet Maitland railway station has five platforms. 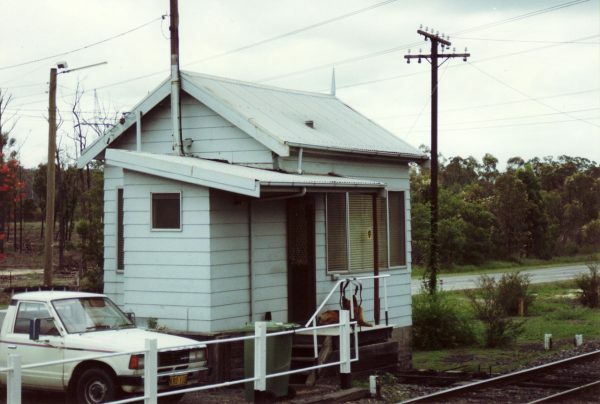 The short answer is that the 20th century expansion of Maitland station was driven entirely by the growth in traffic delivered to the Government line by the South Maitland Railways, which operated a vast network of private lines, serving the region known as the South Maitland Coalfield. The story began in 1886, when the Government Geologist T.W. Edgeworth David* announced the discovery of a vast coal reserve in the Maitland hinterland. The government was bereft of funds. Coal was in oversupply, the Colony was sliding into depression, and calls for a railway linking the Wollombi-Cessnock region with the Great Northern Railway had long fallen on deaf ears. It was a small syndicate of Maitland businessmen, led by a pioneering pastoralist, Henry John Adams, who made the first move in opening up the new coalfield. They formed the East Greta Coal Mining Co. which opened the first coal mine. 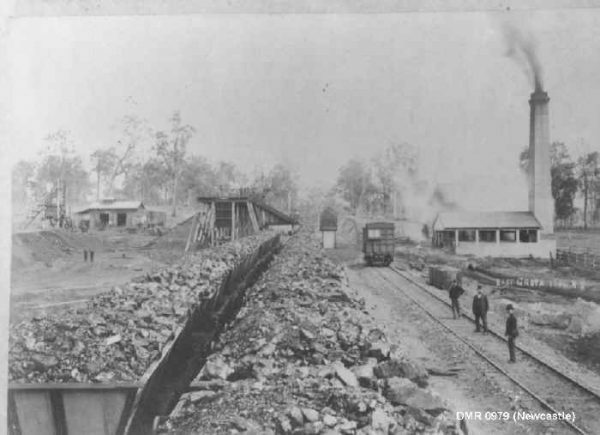 On 30 September 1889, the Silkstone Coal Mine Railway Act of 1889 (53 Vic) was passed by the colony of NSW to enable the initial construction of the railway and its connection to the Great Northern Railway. This Act was subsequently followed by another five private acts or amendments. On 26 July 1892, the East Greta Coal Mining Company turned the first sod at the East Greta Junction (EGJ) Telarah, for the construction of the railway to the East Greta Colliery, a distance of 2 miles 25 chains. However the official opening of the line wasn’t until 9 December 1893. Guests were conveyed by a hired special government train (East Greta Co. was yet to acquire locomotives). The first steam locomotives to run on the line in 1895 were those of the East Greta Co.
Once the Colony emerged from the 1890’s Depression, private capital poured into the new coalfield on a vast scale. World class collieries rose from the wilderness in rapid succession, spawning new townships and boom in economic development that was compared at times with the Victorian gold rush of the 1850’s. The line to East Greta was initially worked by gravitation and horse traction. Small steam locomotives were used from 1895, but longer and heavier hauls soon demanded more powerful engines. December 1911 saw the first arrival of a purpose built 2-8-2 steam tank locomotive, designated the ’10 Class’. Manufactured by Beyer, Peacock & Co. in Manchester, England 14 units were delivered between 1911 and 1926. 1901 – At the time of Federation, only a single line of the Great Northern Railway was extended beyond Maitland. 1901 – East Greta’s rail line was extended to service Stanford Merthyr (Kurri Kurri) and a branch line constructed to the Aberdare collieries. 1904 – As East Greta’s rail line continued to extend, Cessnock was opened. 1905 – The Great Northern Railway grew to three tracks, two of them were dedicated solely to the traffic emanating from East Greta. 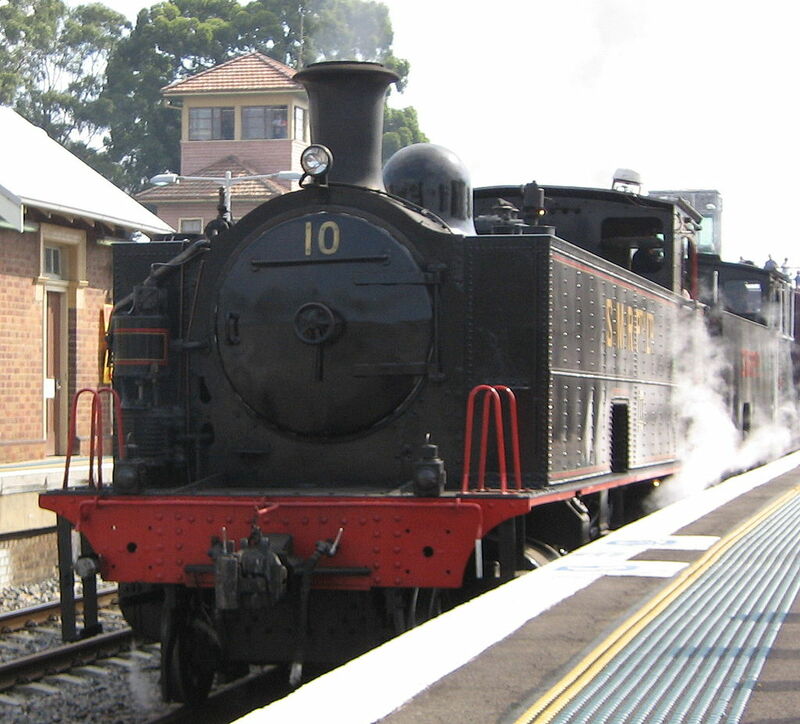 1912 – Due to increased demand, East Greta’s line to Cessnock was duplicated. 1916 – Coal traffic from East Greta’s private line had reached such proportions, that the Government had to extend two of the three Great Northern Railway lines from Maitland through to the shipping wharves at the Port of Newcastle. Over the proceeding years, the SMR network grew to service up to 26 mines at various times. The key to this success was the private railway system, which had grown incrementally under the mining companies, and in 1918 Hebburn Ltd and the East Greta Coal Mining Co. merged to form South Maitland Railways Ltd. a stand alone company whose sole purpose was the provision of a fully fledged regional rail service. 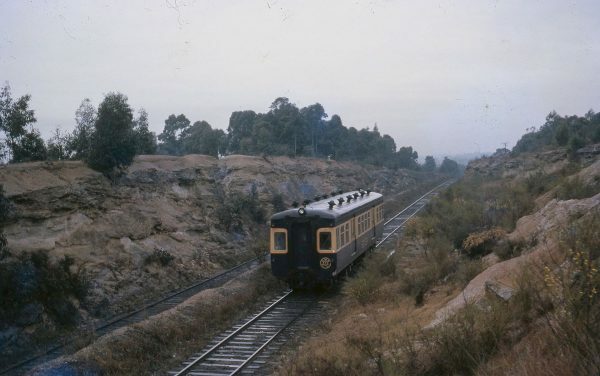 Private railways operating on that scale were rare in Australia, other examples being the Silverton Tramway at Broken Hill and the Emu Bay Railway which opened up the mineral wealth on the West Coast of Tasmania. 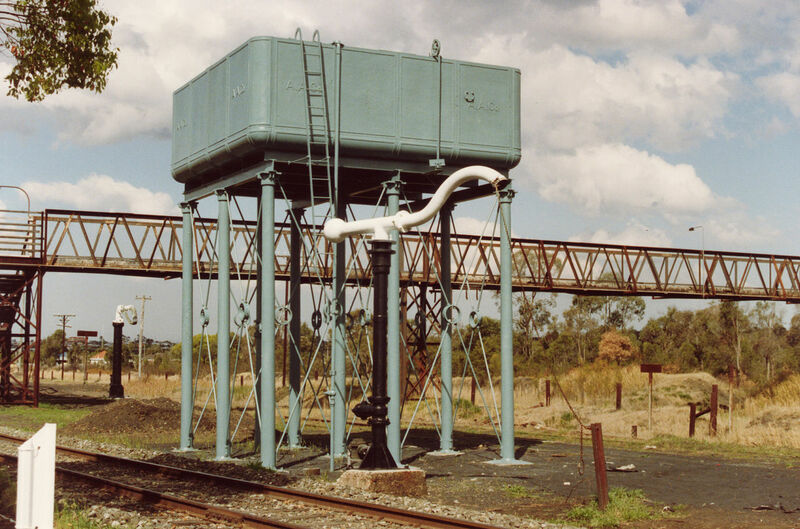 By the 1920’s, the SMR was the state’s single most important energy conduit and 46% of all the coal produced in NSW passed over its lines, destined for both local and overseas markets. In the post war boom period of 1925 to 1930, ten thousand men and boys were employed in the mines, producing over 4 million tonnes of coal per annum, which represented 69% of the Northern District output. During World War 2, the South Maitland coalfields were still producing 60% of the Northern NSW coal output. For much of the last century, public utilities ranging from the NSW Railways and Tramways, to Sydney’s Mortlake Gas Works and the power stations at Ultimo, White Bay and Bunnerong all relied upon coal delivered over the SMR. In March 1967, Hebburn Ltd (a major shareholder of SMR) were acquired by JABAS Collieries, thus control over SMR passed to Coal and Allied Industries (parent company to JABAS Collieries). Though it operated in close cooperation with the NSW Government railways to provide a seamless rail service to the coalfields, SMR was a totally independent enterprise with its own fully equipped workshops at Mt Dee (near East Greta Junction) and a fleet of fine purpose built locomotives. Of the 60 men it employed, the steam locomotives were not only maintained, repaired and rebuilt by skilled tradesmen, such as Blacksmiths, Coppersmiths, Fitting and Machinists and Boilermakers, but various staff to support the operations, enabling SMR to operate the fleet of locos in use. SMR continued to operate steam locomotives on the network and were the last company to use them commercially until June 1983. They were replaced with Government diesel-electric locomotives. By the time steam was discontinued, each locomotive had travelled between 1.6 and 2 million kilometres. These items are now heritage listed in recognition of their historical significance. Today, these locomotives and their former operating base at East Greta Junction are in effect the last tangible reminder of a great pioneering enterprise and its important role in the early growth of the New South Wales economy. Although the transportation of coal was the core business carried out by SMR, it also provided a passenger service on the Stanford Merthyr and Cessnock lines, and conveyed general merchandise in support of new mining townships along the railway. Commencing in 1902, the passenger service fluctuated between SMR and the Government, but in 1961 SMR resumed the service and continued to operate a coalfields passenger service until 1967. Between 1967 and its cancellation in 1972, government operated passenger services were reduced to only a daily return service to Sydney. *The man who began it all, Sir T.W. Edgeworth David is regarded as Australia’s most accomplished scientist, honoured with a Knighthood and a State funeral, yet he is largely a forgotten figure today.